Ideal Protein® is a medically developed weight loss method that targets fat loss while supporting lean body mass including muscles and other tissues. During all four phases of the Ideal Protein® Weight Loss Protocol, you’ll receive weekly one-on-one coaching to teach you how your body gains weight and what you should be eating in order to maintain a balanced weight. Phase 1: With the assistance of your weight loss coach, you will follow phase 1 until you have reached 100% of your weight loss goal. Phase 2: The amount of Ideal Protein® foods is reduced to 2 per day. You will only be on phase 2 for a maximum of 2 weeks. Why 4 phases? Why not stop after weight loss? Anyone can lose weight…learning how you can maintain a stable weight should be your ultimate goal. A weight loss program must empower dieters with the knowledge to develop balanced eating habits and smarter, sustainable lifestyle choices. This is the Ideal Protein® difference! *I have utilized Ideal Protein® before. DISCLAIMER BackBone Wellness Center is an independently owned and operated clinic authorized to promote and sell Ideal Protein® products and the Ideal Protein® Weight Loss Method. 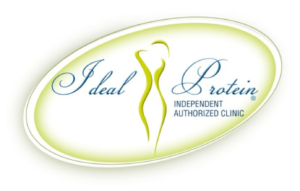 Consult idealprotein.com for more information about the Ideal Protein® Weight Loss Method and Ideal Protein® products and services. Any express or implied statement herein that is not made by Ideal Protein® itself or is otherwise inconsistent with or different from the express or implied statements contained in idealprotein.com materials, including regarding any benefit, performance or specific weight loss expected or achieved with the use of the Ideal Protein® Weight Loss Method or Ideal Protein® products or services is made solely by BackBone Wellness Center and Ideal Protein® specifically disclaims any and all such statements that are not explicitly or implicitly made in, or that are otherwise inconsistent with statements in idealprotein.com materials, and Ideal Protein® explicitly disclaims any and all responsibility relating thereto.